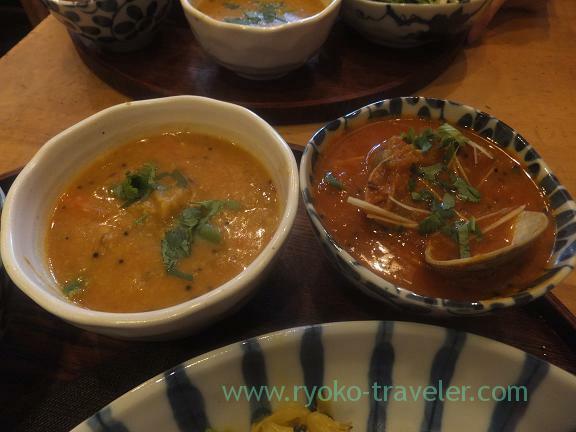 There is an izakaya that serves Indian lunch set on Sundays lunchtime only near Morishita subway station. 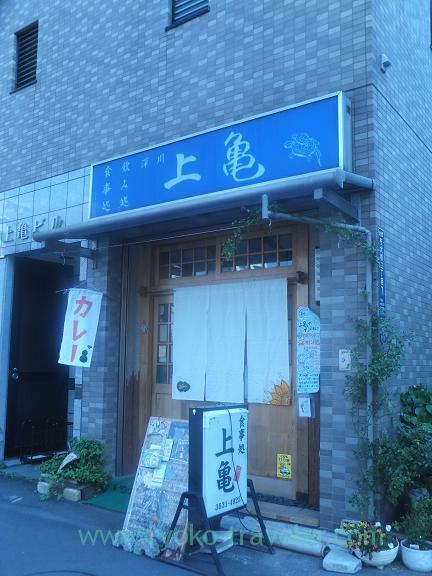 It’s ordinary an izakaya appearance. 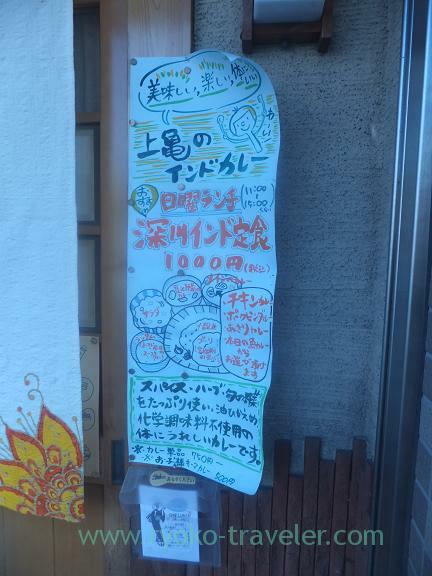 But some notices in front of the izakaya shows you that it serves curry and rice. It have atmosphere of handmade products. But the competent cook serves good dishes ! 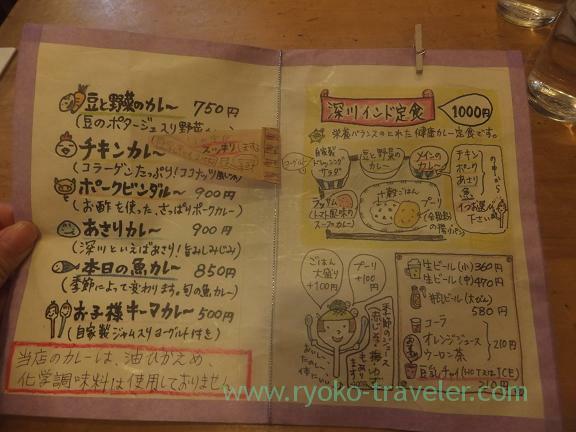 I ordered a Fukagawa Indian lunch set (深川インド定食, 1000 yen). 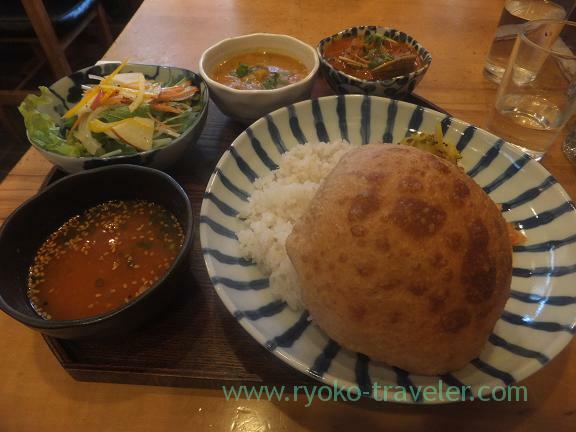 I choiced asari clam curry from 3 kinds of curry that is asari, pork or fish. ”Fukagawa” is a old name of the place around there. 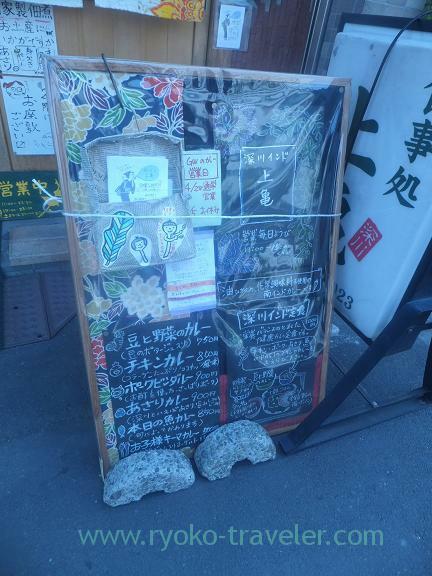 The place names of ‘Fukagawa’ have remained near the town. Left is beans and vegetables curry, and right is asari clam curry. 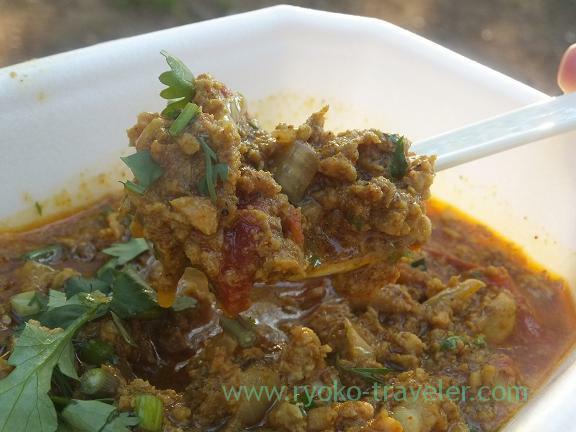 Asari clam curry had so much taste of asari clam. Awesome ! 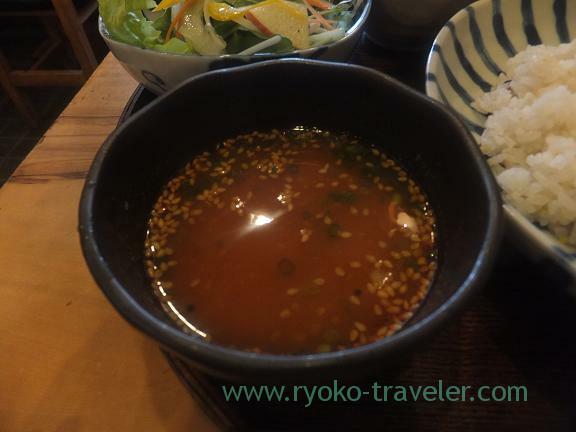 It is a spicy soup. Of course asari clam was so tasty , but I liked this rassam best in my set. 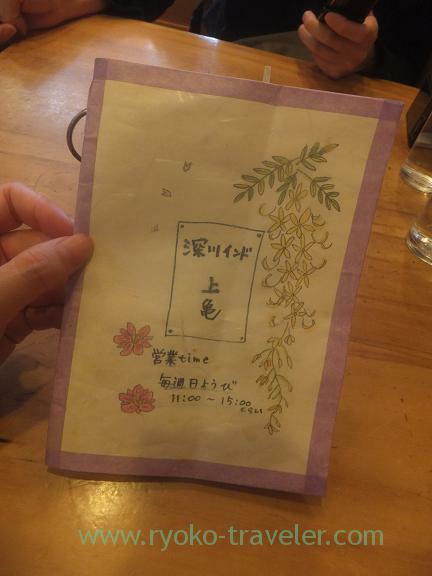 After the meal,ordered a soy milk chai (210 yen). 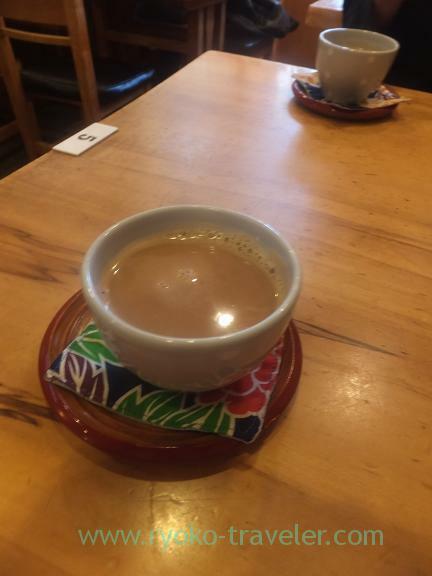 I feel that chai ends my Indian curry meal. 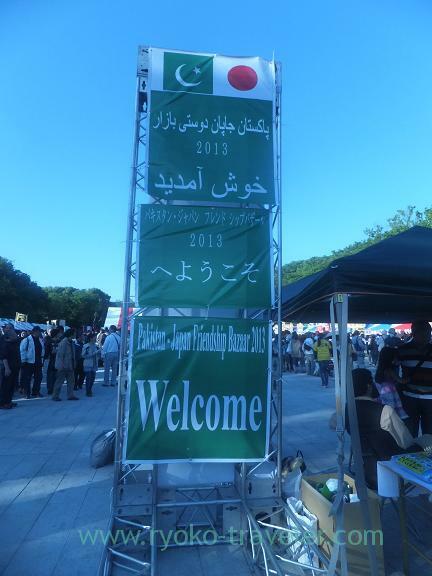 After that, we went to Ueno park for Pakistan and Japan friendship bazar. Taka tak (500 yen) was very hot and good. 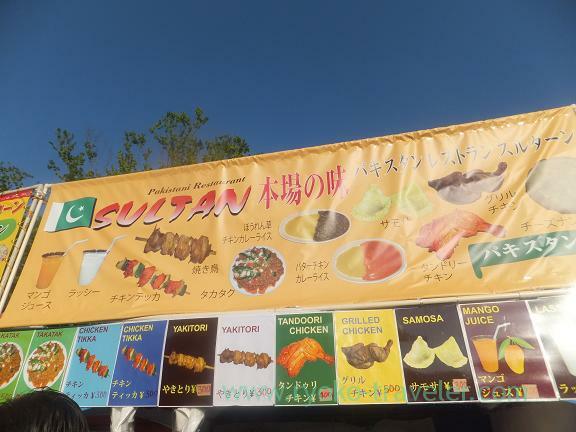 Some dishes were not suitable for cooking at stalls, I felt.